I’ve been applying the ‘beginner’s mind’ to my blogging this last week and loving it. The beginner’s mind is look at everything as if you are just starting out. We move from ‘I know it all’ to ‘I know nothing. Let me start finding out.’ When we temporarily put aside what we know, and apply the beginner’s mind, we find new ways of doing things. In the expert’s mind, there are few. The September Blogging Challenge – the joy of writing, reading and commenting re-discovered. My post, 50 Life Lessons From 50 Years, was picked up for reposting on Midlife Boulevard, a website for women in midlife. My post, Memorable Wayne Dyer Quotes, got a mention in this post from Marina of Mindful Memory Keeping. Thanks, Marina. Being nominated by Karen of Magical Mystical Mimi for the Inspiring Blog Award (more about this in another post). Creativity in the kitchen – I love ‘recipeless’ cooking! Discovering a lovely Irish serial – Mrs Brown’s Boys – I can’t seem to get enough of it! People who know me well, know of my Irish connection! I’ve been laughing as I blog – I watch these on YouTube. Making a couple of friends happy in a simple way. Being inspired by young, Dutch blogger – Astrid. Do read this post of hers to be inspired. For enjoying love, health and plenty – things I never take for granted. PS: Those of you doing the #septemberchallenge might appreciate this post from Blogelina – 80 Tips For Finding New Blog Post Ideas. 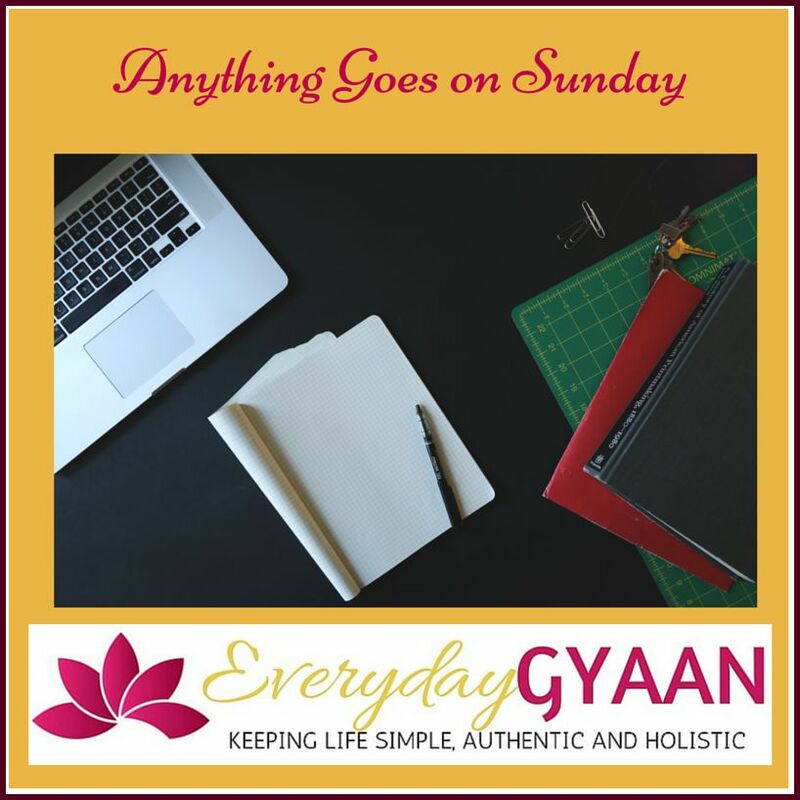 As part of my August celebration, I revived #AnythingGoesOnSunday – an invitation for you to add yours link for your Sunday posts to the linky below. No theme, no prompt – anything goes! However, I’d appreciate if you left a comment and visited at least two of the blogs linked before yours! The linky is will be open for the whole month. 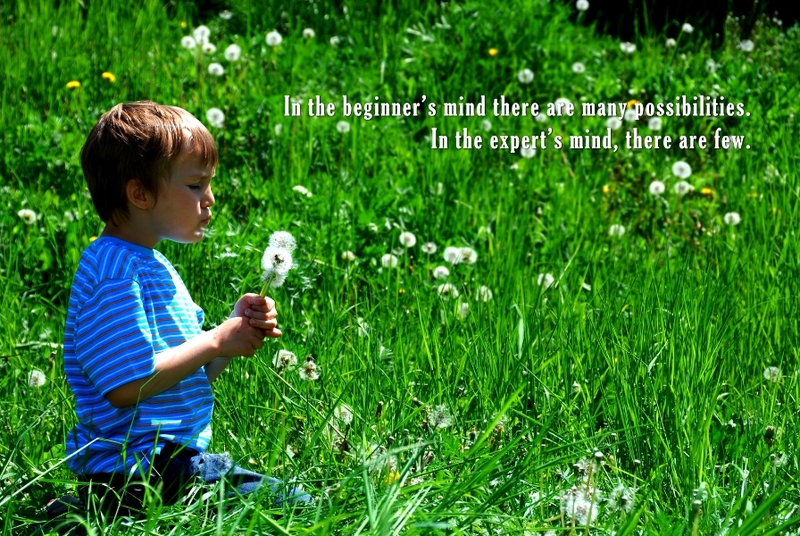 Loved the idea of ‘beginner’s mind’, of keeping an open mind to learn and explore.. Interested in taking part in the Sunday blogs. Just need more info on how to add the link and stuff.. This post is informative and the beginners mind is an eyeopener. thanks for sharing this. Glad you found it useful, Ajay. Yes, here’s to us, indeed, Eli! Thank you! I love that idea the ‘beginner’s mind’. What great way to find some inspiration. I need to write more and I have ideas, but between juggling babies, mom, and then on top of that husband has been on vacation I haven’t had time to think. Hopefully things will slow down once I have our routine a little more established and he goes back to work tomorrow. I’m publishing my first piece on Rena’s World tomorrow hope you enjoy it. I’ll be joining ‘Anything Goes’ next Sunday! I love all these linkys! I like to think I have a beginners mind. I feel 5 years old every single day and every single day is new and bright and interesting to me. I look forward to that, Karen. I agree about your having a beginner’s mind – it shows! I love the lines about the beginner and expert minds. Very true. Lots of good things happening – thanks for some of these links! I’m going to check out the September challenge and the tips for blog posts ones for sure. Have a great week, Corinne! It is, Laurel. Somehow it’s all about changing perspective and it’s actually pretty easy to use this, if we want to. Yes, a fresh start is great! You very welcome to add your link next Sunday. I know Kim and Carol Graham. Congratulations on your nomination! Thank you for starting this linky party! I look forward to getting to know your community. Glad to have you here, Janice. You’re welcome to add your link to the linky. Sorry about your earlier comment, Leanne. Couldn’t find it either. So glad you’re a part of the September Challenge! The concept of Beginner’s mind is interesting. I observe this in children,as they start learning from scratch. Unknowingly, I use it a lot in my professional life, especially when I have to prepare test strategy. Ah I can see how that fits in with coding, Mahati. I like to use it with my relationships too, sometimes! How nice of you to say that, Pat. I take it as a compliment. Thank you. Thanks for the nudge in my blog Corinne.. I hope to write soon..
You’re welcome. And if you’d like some more nudging join our Write Tribe group on FB. I love the term “recipeless”. Sometimes when I’ve been working on a project for some time, my productivity with slow down. Then (when I remember) I will go do something completely different for a while – going for a walk, working in the garden, etc. – and that hits my ‘reset’ button and I can go back with fresh eyes. Have a super week Corinne! Yes, that works great too, LuAnn. Have a wonderful week yourself! The September Blogging Challenge has been fun, and I appreciate your retweets and visits to my blog. I am a relative beginner in a new adventure – care giving of an elderly in law – and I stumble around, discouraged at times. I should go back and look at myself from a less critical standpoint. I am also thinking of how I would look at my blogging as a beginner with 6 years experience- it is an intriguing concept. Caregiving is very challenging, no doubt and I admire how you make the time and effort to blog besides your work and other passions. You inspire me! I’m grateful for meeting you, your awesome!!! It is a fab concept, Shilpa. And thank you! Isn’t that a wonderful way to greet each day? By looking at things with a fresh perspective and away from the comfort of ‘knowledge’ such that we can absorb with learning. As we grow older, I am reminded constantly by the words of great souls who make us pause and think of these things well. 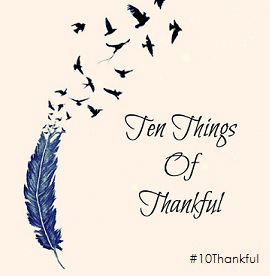 Really good to see your ten things of thankful list, Corinne. The beauty of such a way of thinking is the many ways it can be applied in our lives, Shailaja. And you’re right, the wisdom of the ages is so precious to us – if only we would tap into it more. Mrs. Browns Boys! I’ve seen one or two of those and now that my computer is so much faster I may have to check out more of them. I cook some things without a recipe, but usually that is only because the recipe is memorized. Meat in particular takes some care for me to prepare. Being a vegetarian, I don’t taste test as I go. Your 50 life lessons were very inspiring for me. This whole week I felt I was not able to express myself clearly so I avoided commenting and replying to comments. I guess I should go back to the beginning but where to begin from is also a question for me. This made me smile because it is what I have been forced to do for the past couple years. I am a beginner in so many things now and coming from the place of “I know nothing.” Your post helped me to realize that this is not necessarily a negative thing! Glad that it helped, Carol!